Saving money and keeping costs down is more important now than ever but sometimes we need to look beyond the price to see the real costs. Price-wise, fully graded batten is about 30% more expensive than ungraded but the benefits of using graded battens far outweigh the initial cost. Putting the initial outlay to one side, there are other issues to factor in when using ungraded batten. can generate up to 40% waste. have to be expertly graded on site. By using graded batten you’ll run the job more efficiently and could end up saving money in the long run. much quicker and easier to fit – so you can get onto your next job. requires less work on site – there’s no time wasted grading on site. safer to fit – grading on the scaffold can be extremely difficult with no room to set up a checking line and not enough space to store rejects. And it ultimately saves you time and money. Regardless of your budget graded battens are becoming a standard requirement on more and more jobs. The NHBC (National House Builders Council) will no longer warranty a project if graded battens haven’t been used. Other bodies such as the LABC (Local Authority Building Control),Competent Roofer, Trustmark, NFRC Co-partnership, Roof Sure, Roof Sure Plus and other guarantee schemes all require fully graded battens for compliance. According tothe NFRC, demand for factory graded battens on work not covered by the NHBC is set to keep on growing. So, if you don’t use graded battens you could even find you’re breaking your contract. Not only that but if there are any problems with the roof after the work is finished it’s normally the contractor who’s supplied and/or fixed the battens who is held responsible for their quality. A roof built with poorly graded battens won’t be covered under a warranty and replacing the roof is not going to be cheap. 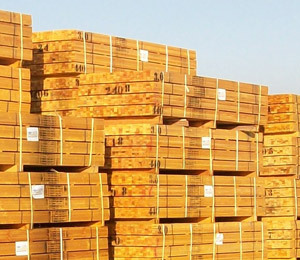 The need for all timber on projects to have Chain of Custody (COC) certification is increasing. This is certainly the case for public sector funded projects but becoming more so in the private sector too. Use ungraded battens and you’ll find you can’t compete for a lot of new business. SIG Roofing know how important it is to stock and sell the right quality batten and only work with the UK’s best supplier – SR Timber. Andrew Wakelin, Commercial Director, confirms that “all of our graded battens are produced from the highest grade wood and sourced via long-standing COC certified suppliers from sustainable sources. They’re made from slow-grown Whitewood or Redwood Pine, predominantly from Latvia, Scandinavia and Finland, so they’re as strong, safe and long-lasting as you can get.” Using the right quality battens means you can be absolutely certain they comply with just about any type of paperwork you can think of. They also have a 60-year guarantee. put your weight on, or as close as possible to the rafter/batten junction where the fixings are. your foot should be above the batten wherever possible, rather than on the batten. under no circumstances should you deliberately walk mid-span on battens with open rafters. take care when standing, particularly if you’re carrying a load, and move about the roof in a responsible manner. All sounds like common sense, but how many of us always follow this to the letter? The problem with ungraded battens is that they can be weak and vulnerable to failure. It’s critical that anybody grading battens on site is trained in all the different standards. This is particularly important as battens are now produced in more countries and from various log sizes, giving rise to additional and more complex knot structures to grade and the increased probability of defects. You also have to ensure every batten is marked with BS: 5534, and the supplier and origin. 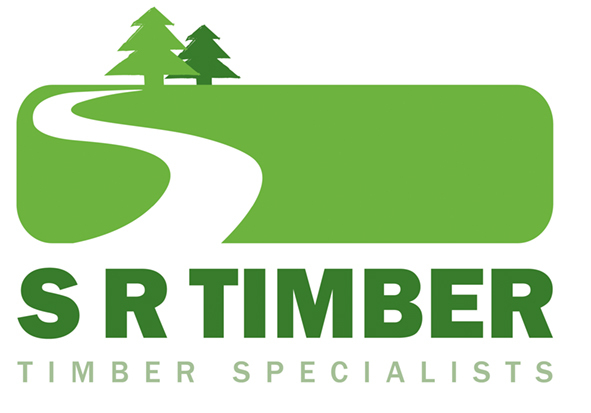 Every other timber product on a build is supplied ready to use with no grading needed and a guarantee in place. And using graded battens gives you the same peace of mind. It’s cost effective, saves time, complies with all the regulations anyone can throw at you and, perhaps most importantly, it’s safe. To be sure you’re using the right quality battens, make sure they’re cut from the side, and not the heart, of the log. Centre cut panels can be prone to twisting and distortion and are basically weaker than the higher quality side panels. Using properly graded battens means you’ll be in line with recent changes to the British Standard for roofing battens BS5534, and the NFRC Technical Bulletin TB33. They’ve both highlighted the “potentially dangerous knot configuration presented by materials cut from the centre of a log”. The consequent risk to roofer safety has prompted a Safety Alert, designed to help buyers, and those responsible for health & safety within the construction and roofing industry, to identify and screen out this potentially dangerous material. So, third party accredited battens really are the only way for peace of mind – and they’ll help you minimise your waste for your environmental policy. Available at 25×50 or 25×38 they’re fully compliant, colour coded to BS: 5534 with independent 3rd party certification and full traceability. Keep checking back for more pitched roofing information.